Broad Street, Birmingham. It doesn’t, and shouldn’t, instantly cry out as the city’s foodie hotspot. 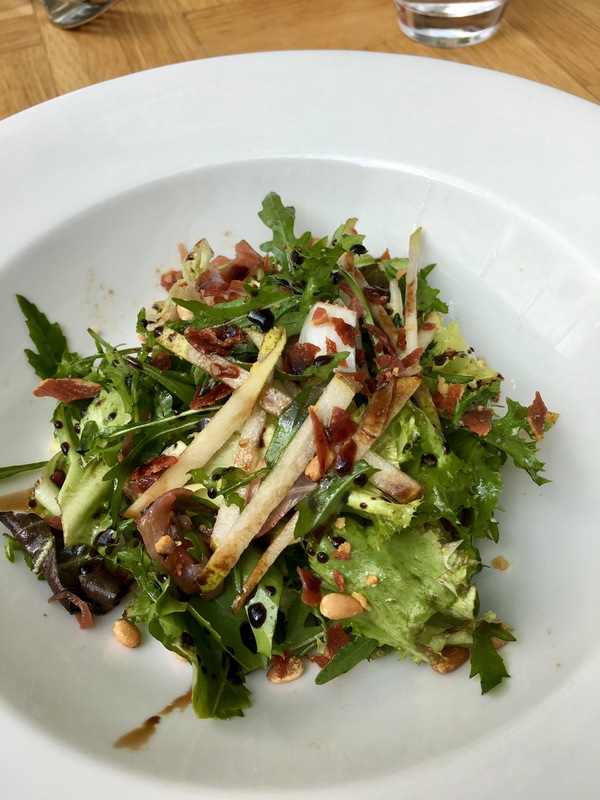 Sure there’s a few nice spots (Pickled Piglet, Pushkar’s and the recently opened Bull’s Head pub all come acclaimed, plus Brindley Place of course). However, generally I wouldn’t want to spend an afternoon or evening dining on Brum’s answer to the Magaluf strip. From there you’re looking at the Mailbox and the city centre for dining options – a bit of a walk away . 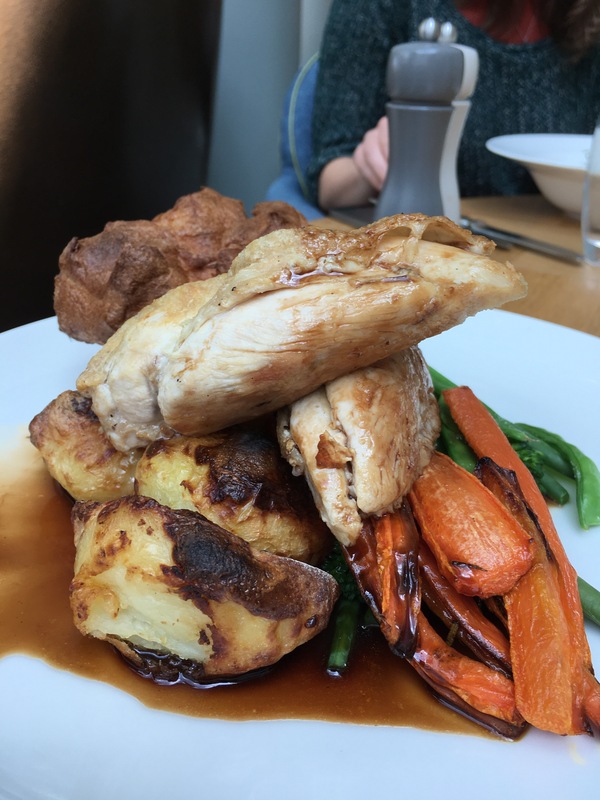 And what about a really decent Sunday Roast? 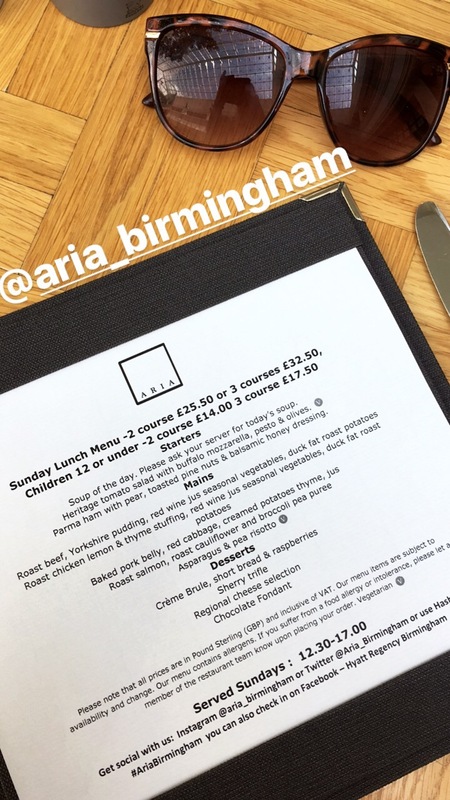 Again, I almost certainly wouldn’t instantly think over that way if Sunday came and no home dinner invitation had come my way – that is until Aria Birmingham kicked started their Sunday lunch offering. Cue a relaxed Sunday afternoon. Perhaps you’re browsing the majestic Library of Birmingham, the IKON gallery or one of the many theatres in this district and suddenly the Sunday rumbles begin (storms clouds or stomach – you decide). 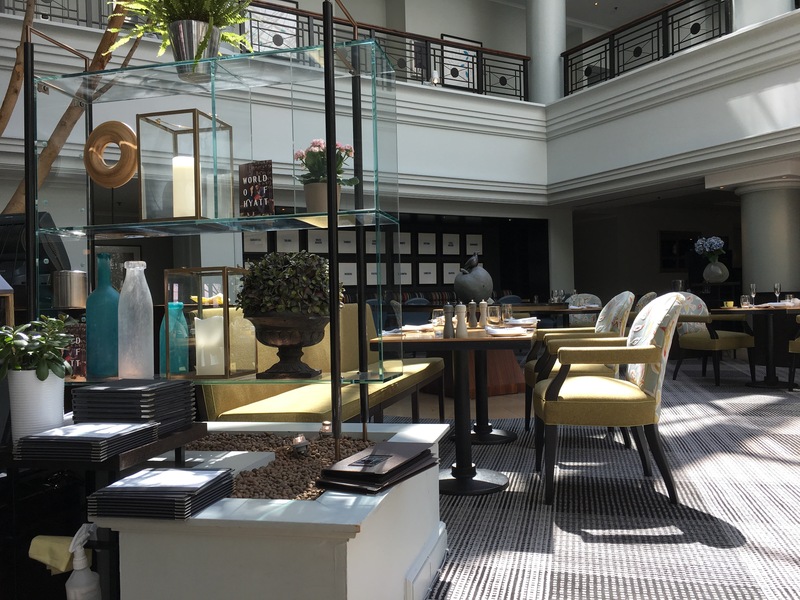 Aria Birmingham, housed within the Hyatt Regency hotel at the lower end of Broad St, is your answer to shelter and grub. 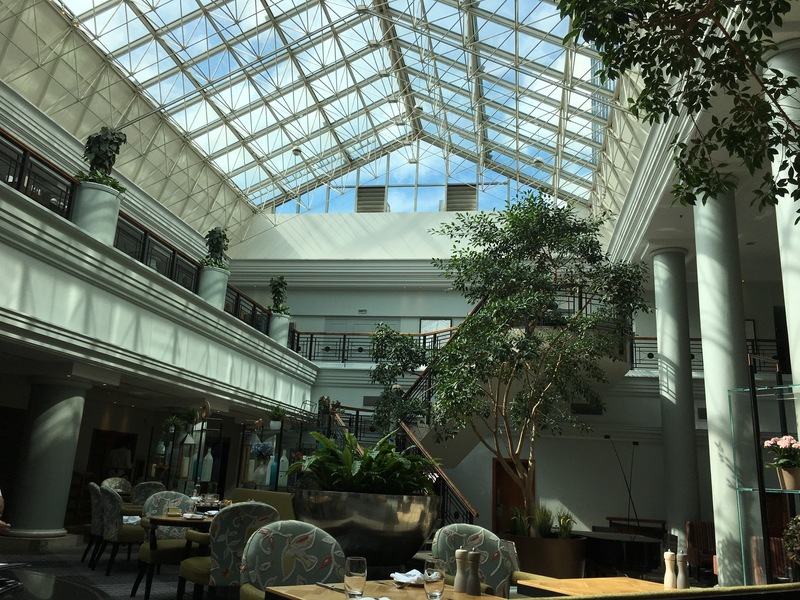 A beautiful, light and sophisticated setting, this was instant Sunday lunch goals with a tranquil and relaxing atmos set by the indoor greenhouse feel of the central restaurant of the hotel’s ground floor (not to mention fantastic light pouring in from the open rooftop for photos 👌🏻). There were other diners enjoying what looked like a fabulous afternoon tea around us, too. The Sunday lunch menu at Aria is two (£25.50) or three courses (£32.50). 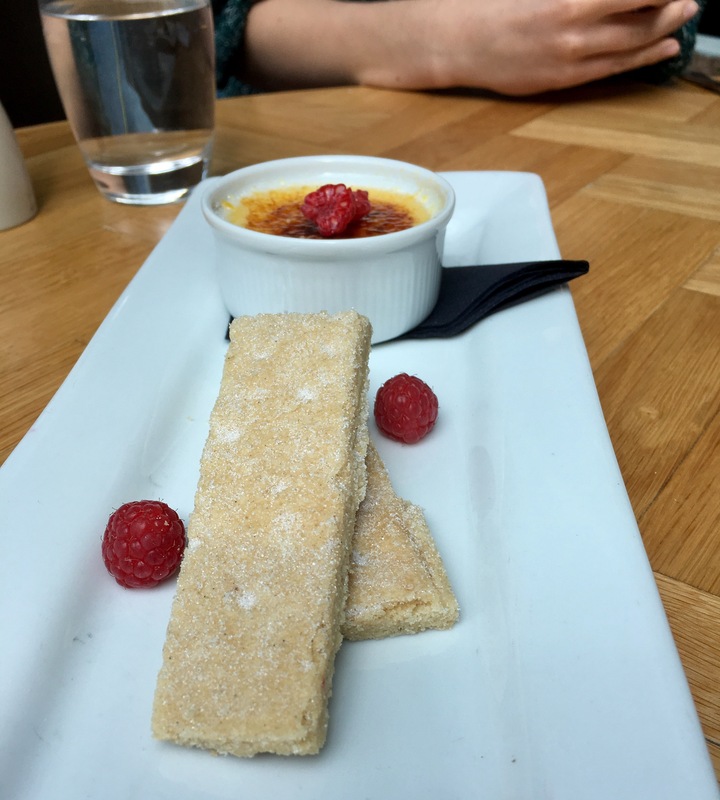 Now now, my recent feast at Gaucho proved tough for the starter and dessert categories. 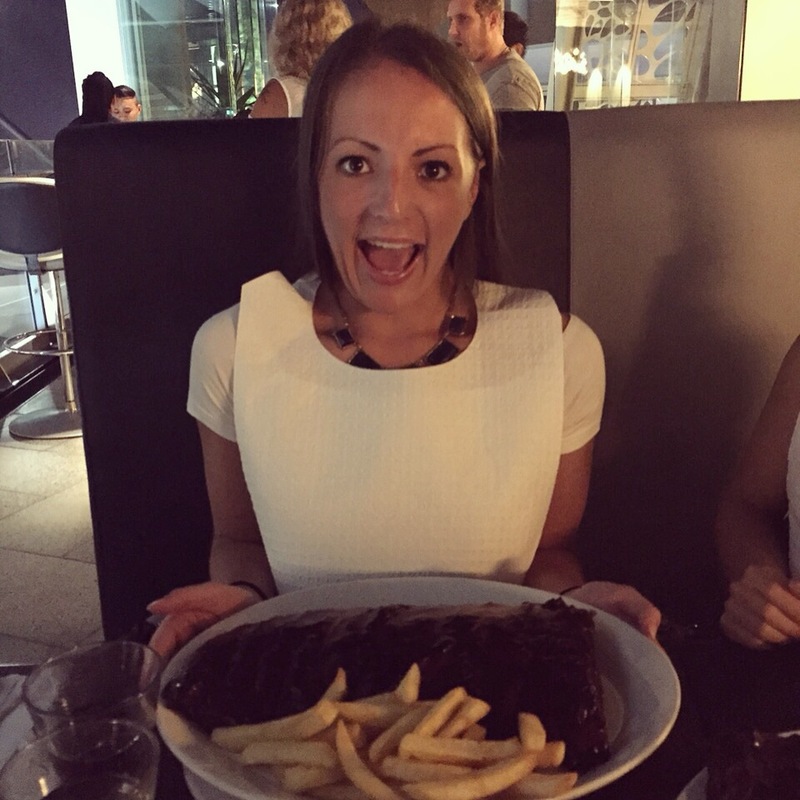 Here in Aria’s case, eating steak and a Sunday roast fall into the same rut: sometimes the main event should just take precedence. As nice as the starters we shared were, these are dishes I would enjoy anywhere else but before a Sunday Roast. 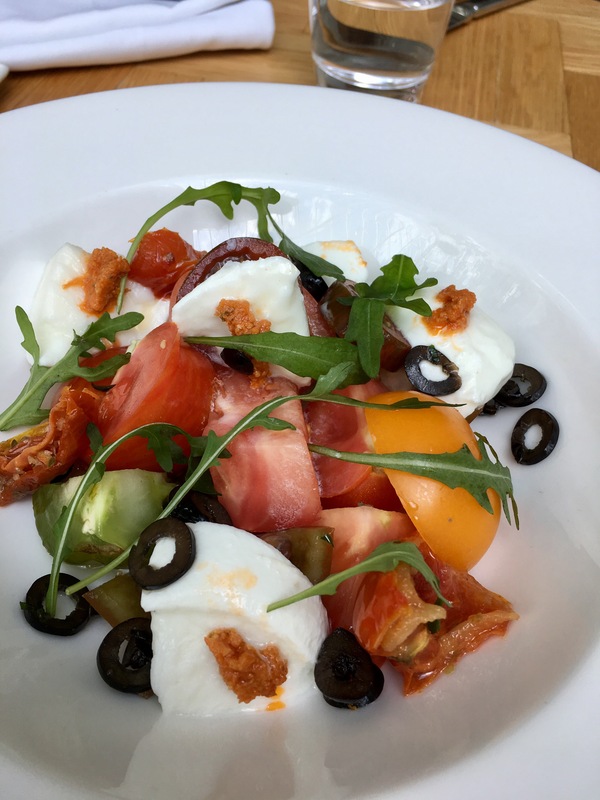 Colourful, light and fresh, I would enjoy savouring either of these summery salads with a glass of white and their beautiful warm bread rolls on any sunny day of the week. However as I’ve just mentioned, here at Aria their roast for me is really all about the main event. What. A. Roast. 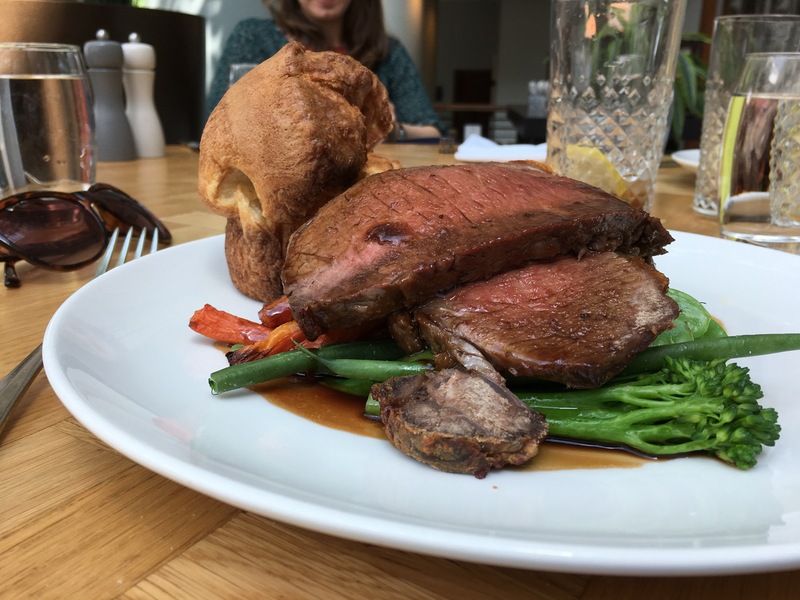 Two humongous slabs of beef, a proper yorkie, the brightest and crunchiest veg (a big plus in my eyes) which included all of my faves plus sweet roasted carrots and (invisible for the most part here) four perfectly cooked roasties (yes a big feat I know). It was genuinely huge, and that’s coming from me, plus three partially hungover girls ready to gorge. 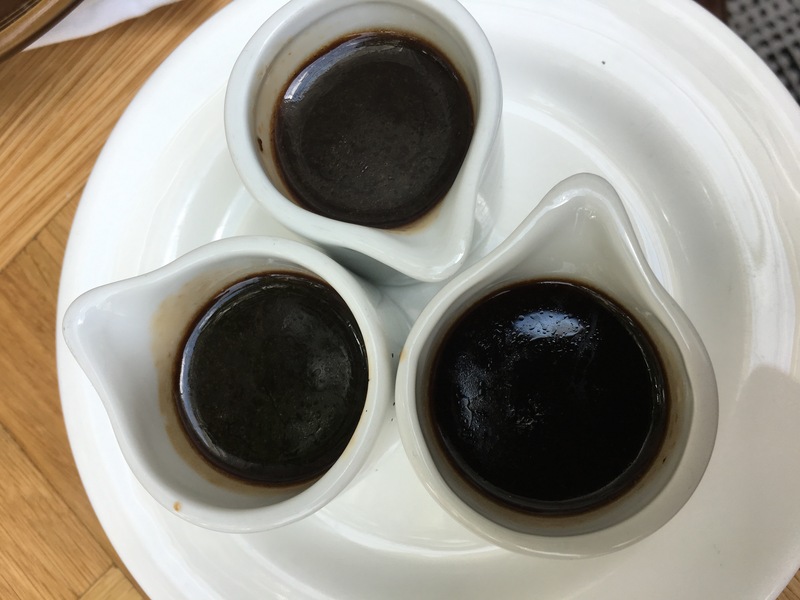 LOADS OF EXTRA GRAVY (and a rich one at that)!! Seriously, this roast dinner was so enjoyable and hugely satisfying. 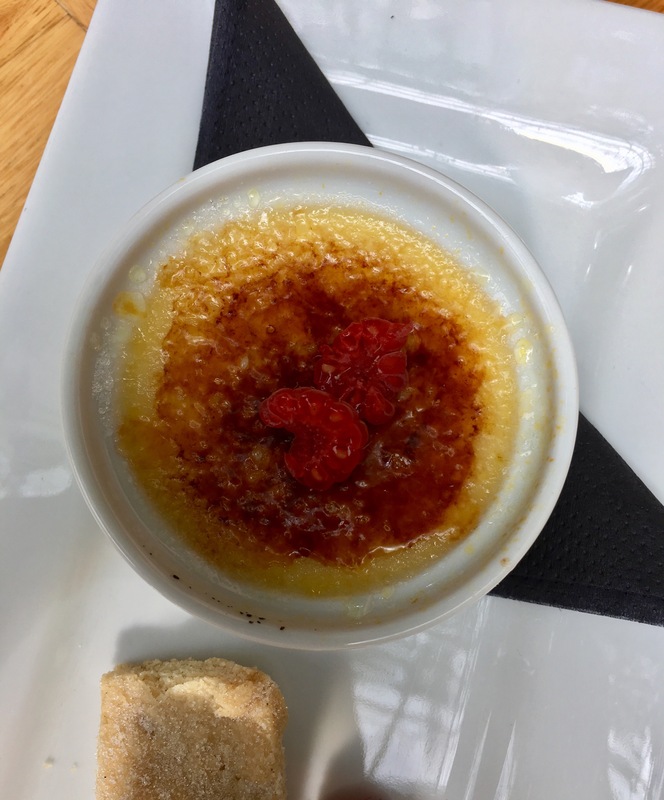 We only then (luckily) had room for a few mouthfuls each of the two desserts we had chosen to share, the crème brûlée with shortbread coming out as the clear creamy winner. This really was a roast dinner cooked to rival either my initial Brum frontrunner at the Lord Clifden… or my Dad’s. The bright setting of the Aria restaurant just notched it up a touch for me from the Clifden’s cosy but dark interior but if you want something a little more civilised and sophisticated than the pub (the Tories do stay there during their party conference, darling), Hyatt’s a great shout. Marmalade, over the road at The Rep, also looks a gooden too to be fair. The relaxed setting I think is also a great option for a family get together or celebration, catering for kids too. But to be honest I wouldn’t hesitate to sit here, relax and feast alone at Aria, followed perhaps by a coffee and book sesh in one of the plush lounge areas. Something I would however like to see is a one course option on the Sunday menu. I would happily saunter on down for a slap-up portion of that beef again, or indeed sample the baked pork belly with red cabbage and all of those beautifully cooked trimmings, without feeling stuffed from a forced starter or too full for a dessert. In any case, if there’s a few weeks between now and my next home roast, I know I won’t be short of a decent Sunday dinner on a Sunday. Hyatt Regency Hotel, 2 Bridge Street, Birmingham, B1 2JZ. 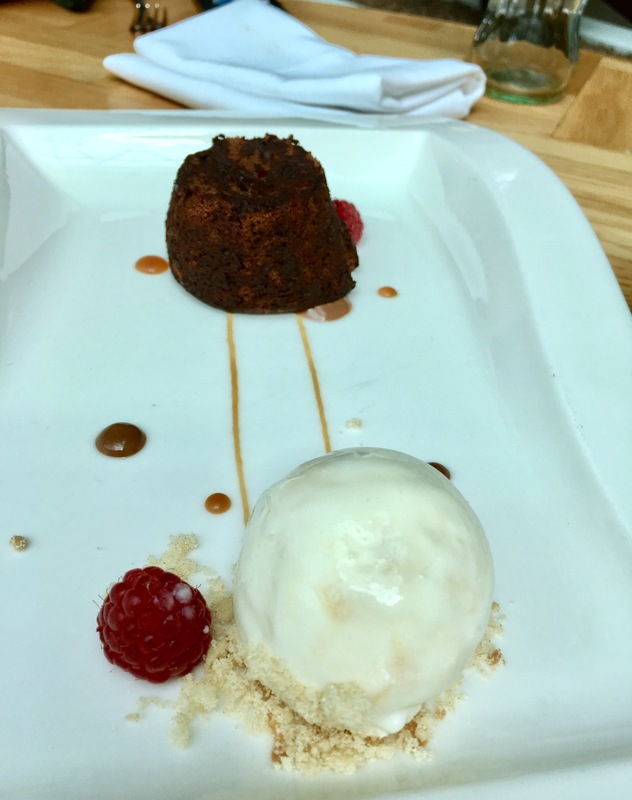 Disclosure: I was invited to to sample the new Sunday Lunch menu with a guest at Aria Birmingham by the Hyatt Regency Restaurant team. I invited two additional friends of mine staying for the weekend and so we paid 75% of the rest of the bill. 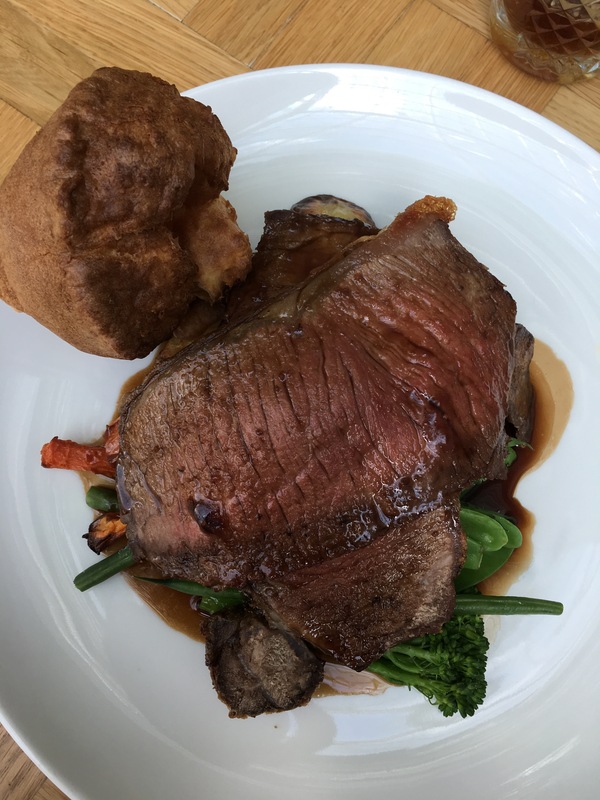 Looks like a really excellent option for Sunday lunch, huge portions of quality roast!! But thanks for the shout-outs – you know what side your bloomer (or seedie option) is buttered! !